Go nuts with your DOUGHNUTS! Heat the milk until it is warm but not hot, about 90 degrees. In a large bowl, combine it with the yeast. Stir lightly, and let sit until the mixture is foamy, about 5 minutes. Using an electric mixer or a stand mixer fitted with a dough hook, beat the eggs, butter, sugar and salt into the yeast mixture. Add half of the flour (2 cups plus 2 tablespoons), and mix until combined, then mix in the rest of the flour until the dough pulls away from the sides of the bowl. Add more flour, about 2 tablespoons at a time, if the dough is too wet. If you’re using an electric mixer, the dough will probably become too thick to beat; when it does, transfer it to a floured surface, and gently knead it until smooth. Grease a large bowl with a little oil. Transfer the dough to the bowl, and cover. Let rise at room temperature until it doubles in size, about 1 hour. Turn the dough out onto a well-floured surface, and roll it to 1/2-inch thickness. Cut out the doughnuts with a doughnut cutter, concentric cookie cutters or a drinking glass and a shot glass (the larger one should be about 3 inches in diameter), flouring the cutters as you go. Reserve the doughnut holes. If you’re making filled doughnuts, don’t cut out the middle. Knead any scraps together, being careful not to overwork, and let rest for a few minutes before repeating the process. Put the doughnuts on two floured baking sheets so that there is plenty of room between each one. Cover with a kitchen towel, and let rise in a warm place until they are slightly puffed up and delicate, about 45 minutes. If your kitchen isn’t warm, heat the oven to 200 at the beginning of this step, then turn off the heat, put the baking sheets in the oven and leave the door ajar. About 15 minutes before the doughnuts are done rising, put the oil in a heavy-bottomed pot or Dutch oven over medium heat, and heat it to 375. Meanwhile, line cooling racks, baking sheets or plates with paper towels. Add the doughnuts to the oil, a few at a time. If they’re too delicate to pick up with your fingers (they may be this way only if you rose them in the oven), use a metal spatula to pick them up and slide them into the oil. It’s O.K. if they deflate a bit; they’ll puff back up as they fry. When the bottoms are deep golden, after 45 seconds to a minute, use a slotted spoon to flip; cook until they’re deep golden all over. Doughnut holes cook faster. Transfer the doughnuts to the prepared plates or racks, and sprinkle with your favorite Saltlickers spices. Serve immediately. Get yourself some pizza dough. If you're making it, we recommend Roberta's recipe, but substitute 3 tsp of Das Bigfoot for regular salt. Preheat the over to 400. Grease a baking sheet. 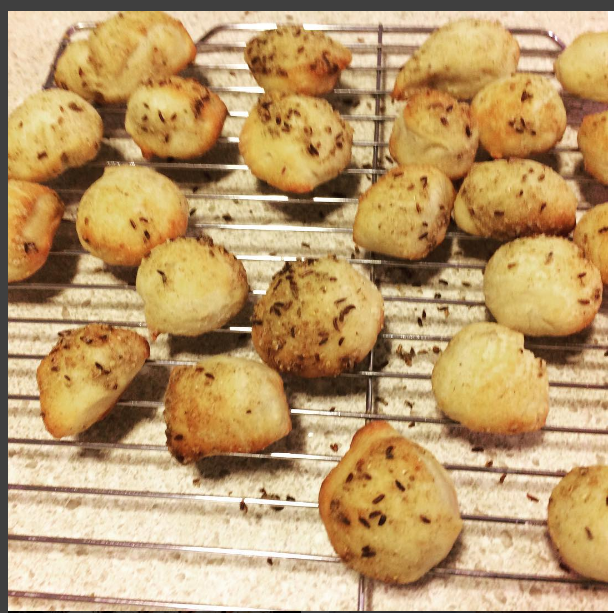 Roll bits of dough into 1" balls and place them equidistant on the sheet. Brush each ball with a mix of 1 tbsp olive oil and 1/2 tbsp Das Bigfoot. Bake for about 5 minutes until brown. Pop 'em in your mouth absent-mindedly because you've always loathed the tyranny of skinny jeans! Whassamatterhorn also works great, too. Preheat oven to 350°F. In a large bowl, whisk together flour, xantham gum, cocoa powder, baking powder, baking soda and salt. Set aside. In a large bowl, beat together light brown sugar, granulated sugar and eggs at medium speed|until very well combined, about 3-4 minutes. With mixer still on, drizzle in vegetable oil. Add vanilla extract and beat a few seconds more. At medium speed, slowly add the flour mixture and beat just until combined. Gently fold in the shredded zucchini and chocolate chips. Spread batter into a 9x5-inch loaf pan and smooth the top. Sprinkle 1.5 tbsp Cha-cha Lima on top. Bake in preheated oven for 1 hour or until a tester inserted in the middle comes out clean or with a few moist crumbs. Cool in the pan for 15 minutes then turn out onto a wire rack to cool completely. This double-whammy dessert features Cha-cha Lima and Iowa Nice Spice, plus Torani Gingerbread Syrup. Preheat the oven to 350. In a large bowl, toss the apples, lemon juice, Cha-cha Lima, Torani Gingerbread syrup, and flour. Pour the apple mixture into a buttered 2-quart baking dish. In another large bowl, mix the flour, oats, Iowa Nice, Torani Gingerbread syrup, and salt. Work the butter into the flour mixture with your fingers just until it comes together and forms large clumps. Fold nuts into mixture. Sprinkle the topping evenly over the fruit. 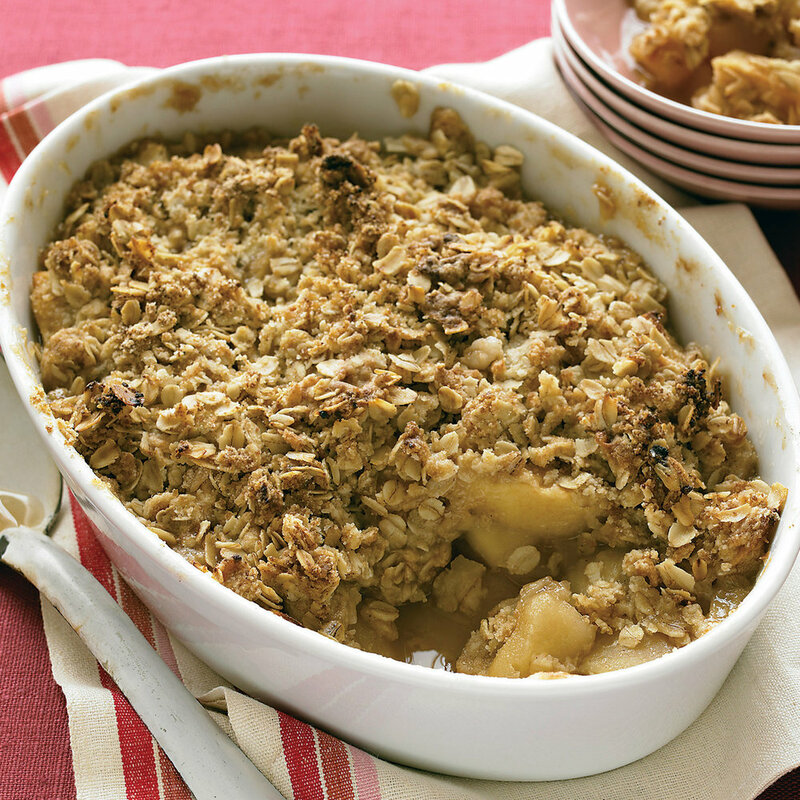 Bake the apple crisp until the fruit is bubbling and the topping is golden brown and crisp, about 45 minutes.